Recorded on 10th and 11th November 2013, are two powerful multifaceted processes for healing and releasing trapped energies associated with conflict. We undertook the same process on both days, and the power was really palpable on the actual 11/11 day. The portal we anchored in is still active, and we have another potent opportunity to boost the activity on 22 Nov. (11+11 = 22). If you missed the first gatherings, don't miss out on this powerful gateway of 22 Nov to take advantage of the healing that was anchored in. We were 'told' during this ceremony that the ripple effects of what we have begun are 'beyond our human comprehension', and there is no doubt that our impact on the ancestral and collective memory fields through this process run deep through the timelines. 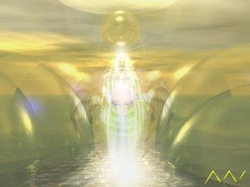 - Healing and Soul Release from the Planetary Grids. I have been shown that for this, we need to open a strong, collectively generated 'portal of light' for any souls that have been held close to the earth because of powerful emotion or trauma resulting from any of the wars/conflicts. This, I was told, will provide a counter-balance for the traditional Armistice Day focus which is actually used to harness human emotional energy, and uphold a belief that 'War is necessary for......(protection, peace, safety, security, for our own good etc). This counterbalancing process will enable us to truly honour with deep LOVE, any human beings whose lives have been taken in the global ritual of war. It will facilitate very deep healing and releasing at multiple levels and timelines. The webcast recordings are available immediately for download via the buttons below. You will also be able to download the processes as mp3's. welcome to provide a small donation in any amount you choose. Diamond poppy bridges, with diamonds within the poppies. White poppies swirling down the ancestral lines on both sides of my ancestors and so on so emotional with all the fear anger, hate, aggression, courage loss and grief being released . After we had finished, I came down to earth ,doing a mundane job however -suddenly , my other grandfather , who I knew as a child, and who I loved dearly was with me. He has never been through so strongly , once in the back ground, after reminding me of our time together, and I assured him I had not forgotten –he died when I was 7 ,and apparently his last smile was for me... He was a soldier –regular in the Cavalry, he adored horses, he turned and thanked me for his release, and told me he was moving on now into the Light, he would be back to talk to me. I always am deeply moved by what you do. There was something different today. I would suspect for me it touched on what I am wanting to embody and stand for in regard to any kind of warring internal or external. I know my desire is the remembering of wholeness and unity. The sacred marriage of the masculine and feminine living in each of us. I found the time this morning powerful, moving, gentle and deeply "healing" as we move into oneness. Thanks for making this happen. I had been seeing 11:11 for 2 months, and I never really look at the clock, but there it was, everywhere. So of course I happened into it. The first session I did in the afternoon as Mercury was stationing. It was very emotional and I found places where deep pain and humor merged, I don't know how to say it, I was about to cry and a sound like a laugh came out. As I was making recordings this morning I listened in a bit and heard things I know you didn't say. I always find this with your work, it gets deeper the more I do it. I will get a lot of mileage out of of this and continue to work with the ancestors. Thanks a million, Sue Z." "Thanks for a wonderful meditation process, I really enjoyed both of them, I wasn't able to connect in the mornings but thankfully did so in the evenings around 11pm. Both meditations brought up a lot of stuff around war (in the southern areas of africa) and lots of grief, crying and singing in the carribean. Was painful and so joyful at the same time for me and I plan to go over the meditation again to find out more. "Thank you Julie for creating this wonderful opportunity of release and peace!" "Your events are always so timeous in light of what is emerging in my life and healing journey. Huge thanks for creating just the event I need in perfect timing!" "I had a superb Meditation day on 17th Nov and at 11.11am we connected to the bridges of white poppies. One participant found themselves down in the trenches and saw them release the negative energy and fill with- guess what -white poppies. Another ,saw a WW1 soldier injured holding his entrails in... she actively helped him and saw him healing ,on to the diamond/white poppy bridge up to the light, then almost at the same time. I was given that he represented the unknown soldier who is buried in West minster Abbey, and as i write this , I am receiving further confirmation.